Forix is an eCommerce agency with a specialty in designing, developing, and supporting websites for outdoor apparel and sporting companies.  Based in Portland, OR with over 10 years of digital eCommerce experience, we strive to stay connected with the outdoor industry and help grow local businesses. Notable outdoor clients include Dakine, CRKT, Next Adventure, GoPro, Schutt Sports, Fisherman’s Marine, SportRX, McDavid, and La Sportiva. At Egg Press, we believe it is a universal truth that we are all seeking authentic human connections. As a letterpress greeting card manufacturer and design studio, we’ve been helping people make those connections by producing cards – in essence creating the vessel, the container for people’s innermost thoughts and feelings. Our studio is in Portland, Oregon, where we’ve been creating cards and doing what we love since 1999. The things we make are distinct, funny, and memorable, always in service of helping bridge the gaps between the people we share our world with. In addition to our greeting card line, Egg Press is proud to be the exclusive licensing, manufacturing and fulfillment partner in North America for three globally renowned letterpress greeting card companies; Hello!Lucky, our partner in spirit and business since 2013, ASHKAHN, the all-around bon vivant from LA, and 1973 Ltd. with their eye catching collections from Brighton, UK. The four brands share a love and ethos of design and hand-crafted, high-quality, locally-made products and value the importance of hand-written communication. mangai.rollin is an experiential and content marketing agency. We are primarily focused on the action sports and outdoors, automotive and vice industries. We connect brands with creators to develop inspirational, cost effective content. Creators get free product and the opportunity to sell content. Brands get authentic branded content at a low cost. We are a Portland-based creative video production shop specializing in branded web content. Full service custom exhibit company specializing in environmentally sustainable design and fabrication. We provide cutting edge design, award winning fabrication, storage, program management, show services coordination and onsite supervision. Creating authentic visual content, photography and video, for great brands in the outdoor industry. Foghorn Labs is an online marketing consultancy focused on developing outstanding integrated marketing campaigns for outdoor and active-lifestyle brands. Our passion for the outdoors extends beyond the office walls; we use our clients’ products every day, and we draw from those experiences to fuel our passion for what we do back in the office. We are a member-based makerspace and service provider for apparel businesses. Lowering the barrier-to-entry for start-ups, fostering community and serving as a hub for apparel resources, we are conveniently located in the central eastside industrial area. We offer access space to work, tools & equipment, community events, and in-house technical services, like pattern making, prototyping and technical design. Offerings for hobbyists up to seasoned businesses. BurningSquare is the design studio of Jeremy Harrington. I’ve spent the last few years working in agencies or in house, and now have ventured into the world of freelance and contract work. I take on all types of projects, big as well as small, and pride my selves on being able to provide solutions for all types of design needs. My specialties include brand design, visual identity, packaging design, retail design and print graphic design. BPN is a creatively-driven, full-service agency headquartered in Portland. Born in 1977 as Borders, Perrin & Norrander, for nearly 40 years we’ve been helping clients punch way about their weight through equal measures of craft, courage and conviction. We specialize in strategy, creative and media that engages audiences from an emotional, rational and yes, even reptilian perspective. And we believe that every brand has a compelling story worth telling. It’s simply our job to unearth it. One of BPN’s most notable client relationships is that with Columbia Sportswear, which produced over 30 years of celebrated advertising work. BPN has developed work for clients such as: Mountain Hardwear, Sorel, Montrail, Regence Blue Cross Blue Shield, Valvoline, Restoration Hardware, Surfrider Foundation, the Portland Trail Blazers, K&N, Oregon Lottery, Oregon’s Mt. Hood Territory, Old World Industries, and more. Studio317 is an Advanced Innovation and Prototype studio for a wide range of Apparel and Soft Good products, based in Portland Or. Studio317 will provide local designers and companies the opportunity to be hands-on during all the stages of the prototyping process, while creating a balance between efficiency and time. Studio317 offers full Apparel and Soft Goods prototype services, from Pattern Making to Tech Pack, and that could include Sewing, Specs, Construction details, Costing, Production Sample and Grading, and Consulting Services in the area of Product Creation, Development, Materials and Advanced Innovation. We offer design and product development consulting as needed to make manufacturing more efficient and affordable in the long run. We take someone from concept to production ready. The Studio will also offer its customers the opportunity to utilize new cutting edge machines with various apparel construction technologies. We excel at Innovative solutions for everyday problems. No matter how daunting your innovative design idea, we will help you take it on – after all, we’ve done it all before. Ferrari Color provides graphics for the retail environment. From one store, or distribution to 500 stores, and from concept to execution, Ferrari Color is the preferred partner of choice for many of the nation’s top retail brands. Traverse is a digital brand strategy and business development agency based in Portland, Oregon. Traverse is native to the action sports frontier. Clients hire us to help them navigate the digital, social media marketing and new business wilds; we listen, learn, think, create, and ultimately, add value. Description- design, development, marketing and sales. Chinook is a footwear agent that specializes in Industrial and outdoor products. Services include design, development, innovation, quality control, material and product sourcing. The head office was established in 1988 and is located in Lake Oswego, OR. Chinook also has representative offices in Fujian Province, China and Ho Chi Minh City, Vietnam. Chinook also has a joint venture office in Taichung, Taiwan and smaller satellite offices in Tianjin and Dongguan cities in China and also Cambodia. Our Steelhead Manufacturing facility operates state of the art injection molding equipment and produces made in the USA footwear. Web strategy, custom web solutions, search engine optimization, and social media for outdoor brands nationwide. Focus on sports footwear and apparel industry. Fully equipped shared workspace environment in downtown Portland. Services include: product engine development, toolkit components, network services, strategic planning, marketing strategy, financial consulting. a fully integrated marketing agency that specializes in many key brand building areas. We’re a band of filmmakers and photographers who, as a rule, always let our curiosity get the better of us. Frankly, we believe that the process of discovery is as important as what goes on the screen. We tell stories. Big, small and anywhere in between. The Good helps athletic and outdoor brands give their customers what they want on the web, on mobile, and in stores.